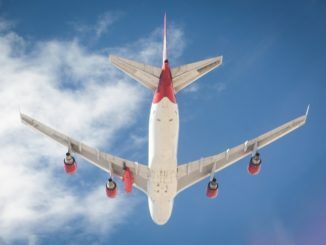 The attachment of a mounting bracket for Virgin Orbit’s smallsat launcher under the wing of a modified passenger jetliner portends the start of a series of captive carry tests with a full-scale model of the rocket, culminating in a drop of the vehicle before the first orbital launch attempt. 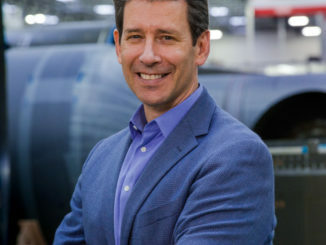 Dan Hart leads a staff of hundreds of engineers and technicians developing LauncherOne, a commercial air-launched booster intended to hurl small satellites weighing up to 1,100 pounds (500 kilograms) into orbit. 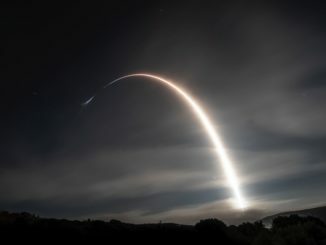 A thick marine layer blanketing Vandenberg Air Force Base in California restricted views of SpaceX’s Falcon 9 rocket lifting off early Wednesday, but cameras fixed to the launcher provided spectacular imagery of the predawn departure with 10 Iridium satellites on-board. 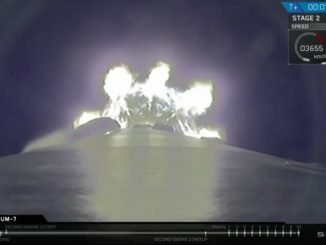 Firing through a veil of fog blanketing California’s Central Coast, a Falcon 9 launcher climbed into orbit Wednesday with 10 more satellites for Iridium’s voice and data relay constellation, pushing the upgraded network closer to completion as SpaceX accomplished another landing of the rocket’s first stage booster. 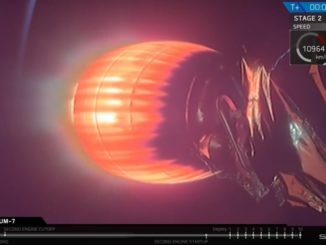 Follow the key events of the Falcon 9 rocket’s ascent to orbit with the another set of 10 next-generation satellites for Iridium’s voice and data relay fleet. 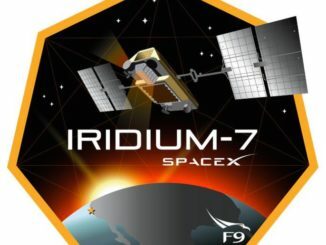 A SpaceX Falcon 9 rocket loaded with 10 Iridium Next communications satellite is awaiting a predawn launch Wednesday from Vandenberg Air Force Base, California. 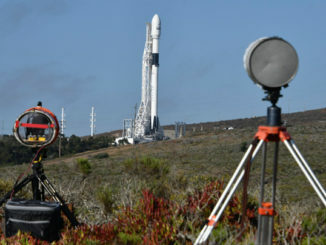 A Falcon 9 rocket lifted off from Vandenberg Air Force Base at 4:39 a.m. PDT (7:39 a.m. EDT; 1139 GMT) Wednesday, and SpaceX successfully landed the rocket’s first stage on a drone ship in the Pacific Ocean. 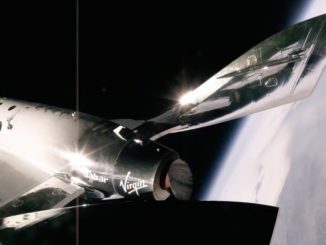 The mission’s primary objective is the deployment of 10 Iridium Next communications satellites into low Earth orbit. 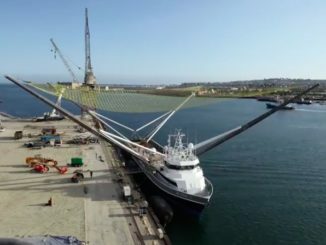 After several near-misses in tries to catch payload shrouds jettisoned from Falcon 9 rockets climbing into space, a high-speed boat tasked with retrieving the fairings for SpaceX to reuse has been upgraded and dispatched into the Pacific Ocean ahead of a launch Wednesday from Vandenberg Air Force in California. 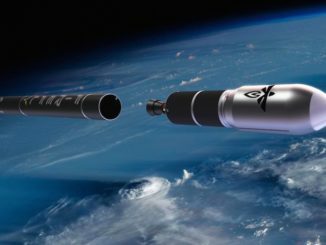 A commercial rocket under development by Firefly Aerospace will conduct its first orbital test flight in 2019 from a launch pad at Vandenberg Air Force Base in California that will become vacant with the retirement of the venerable Delta 2 booster later this year, the company announced Tuesday.